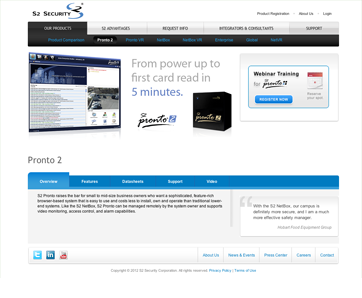 S2 security required a new website design, as well as a complete overhaul of the site's information architecture, in order to highlight a range of security technology products across different markets. HSS developed a plan to satisfy both structure and design in a way that would strategically target different user groups and enhance lead capture potential. 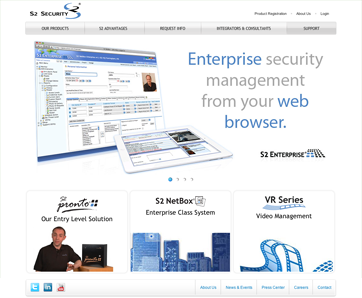 The website, built on ExpressionEngine, also features a private customer-only area that integrates with S2 backend systems.